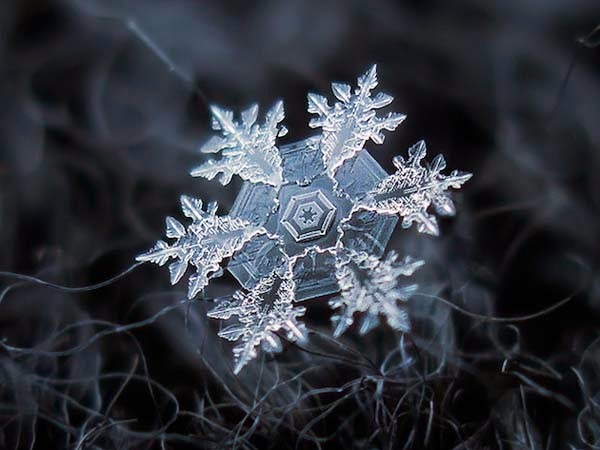 As fascinating as macro photography is, most of us think we can’t do it because it requires specialized equipment. 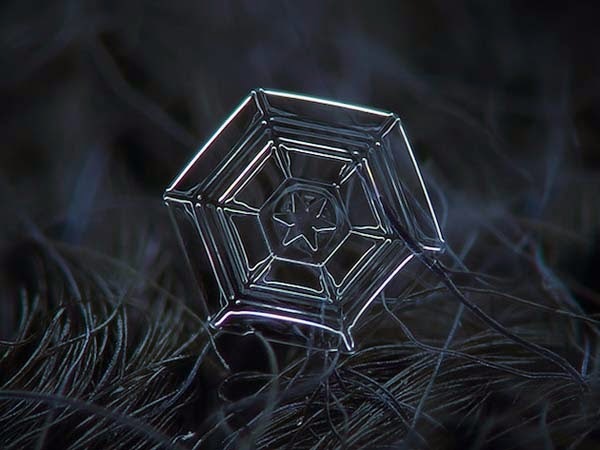 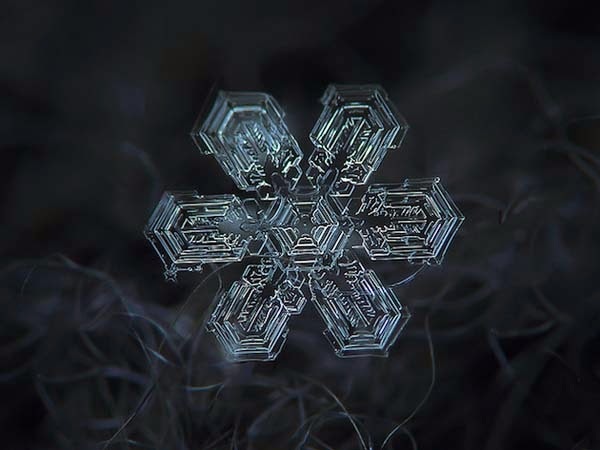 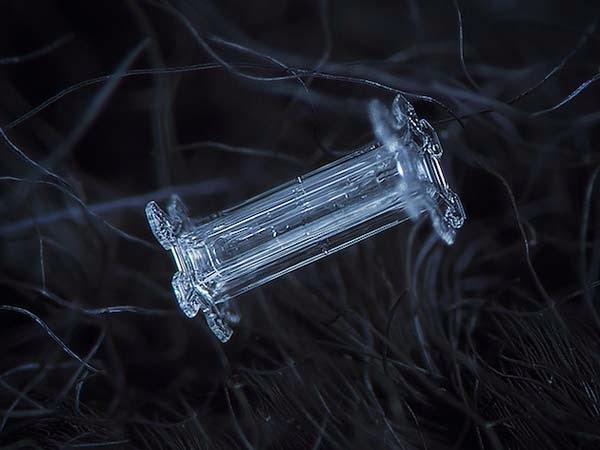 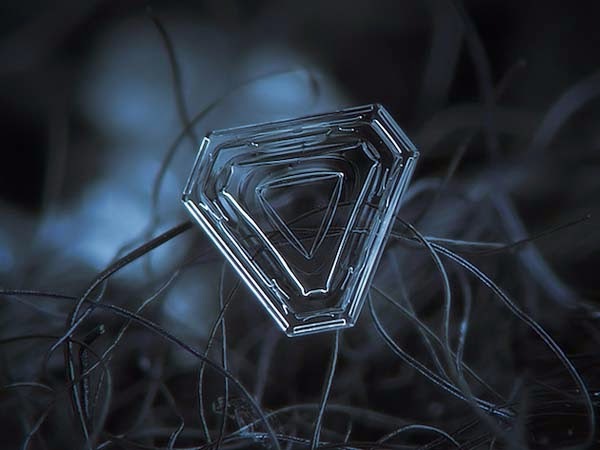 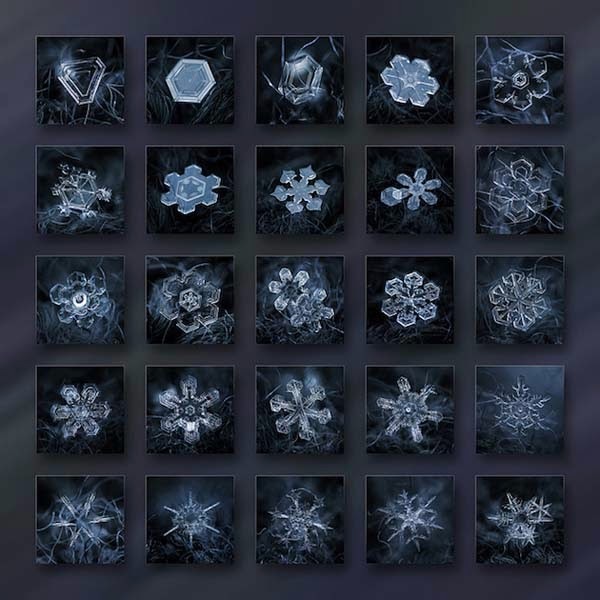 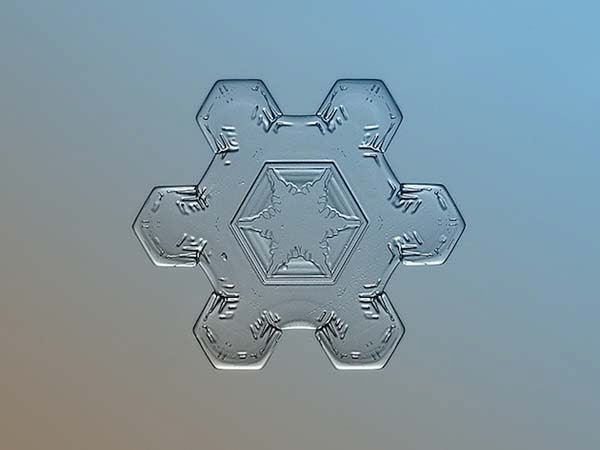 Russian photographer Alexey Kljatov, however, is an inspiration to aspiring amateur photographers everywhere – he created a home-made rig capable of capturing stunning close-up pictures of snowflakes out of old camera parts, boards, screws and tape. 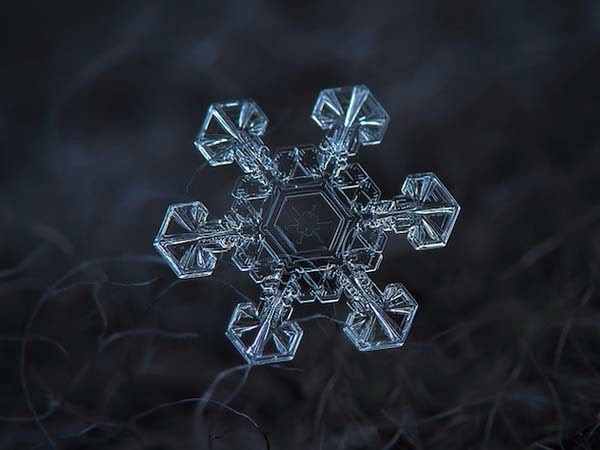 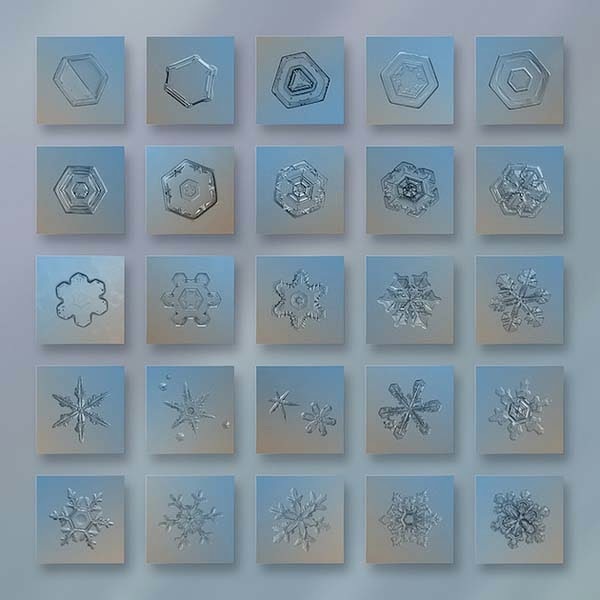 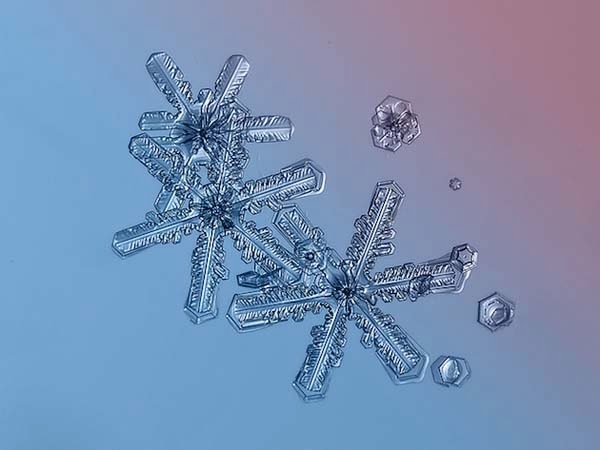 His pictures give us an enchanting close-up view of snowflakes that we could never hope for without specialized equipment. 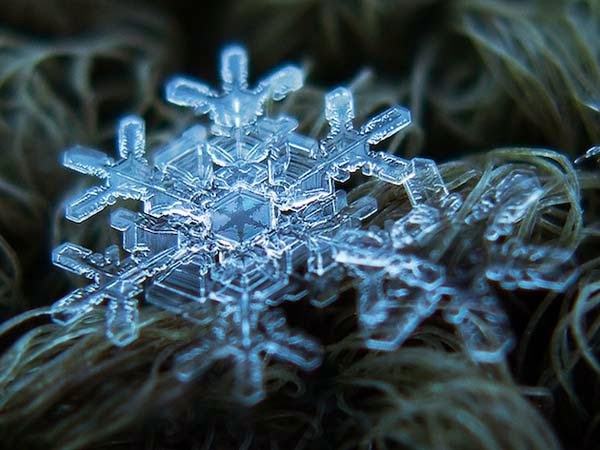 The wonderful thing about snowflakes is that no two are alike. 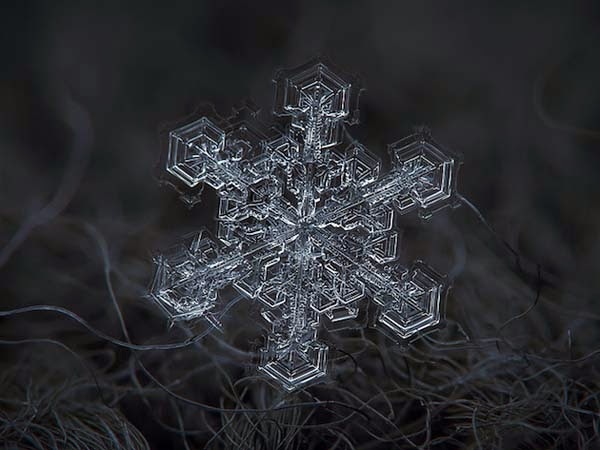 Their extraordinary diversity diversity stems from the many small changes in temperature and humidity that they experience while freezing on their way down to the ground. 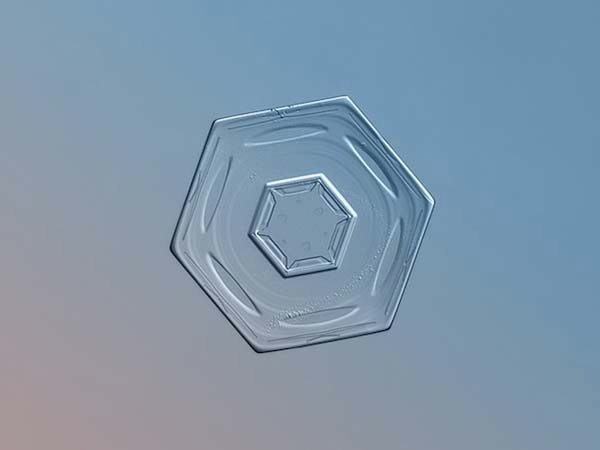 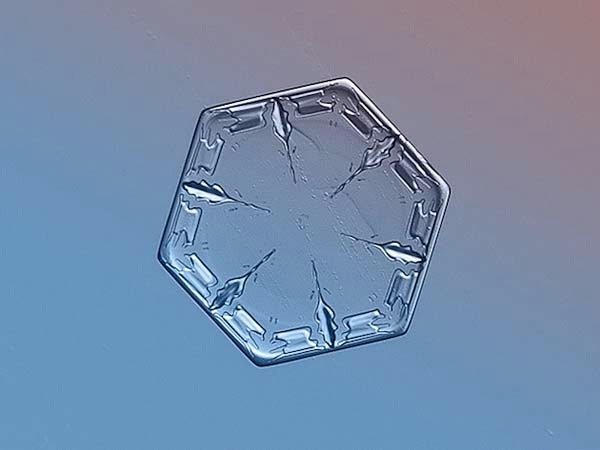 Their six-sided symmetry occurs because the crystalline structure of ice is also hexagonal. 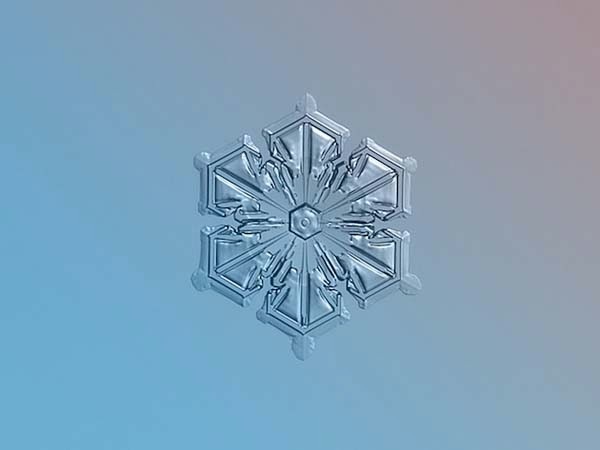 All of these many factors come together to create beautiful shapes that are almost always unique. 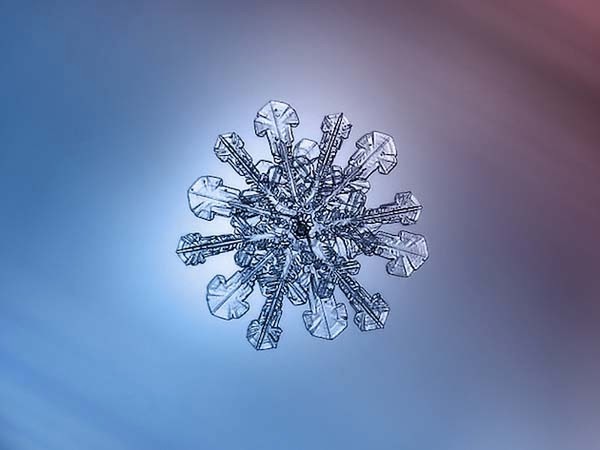 Kljatov’s rig creates the sort of photos that might otherwise require lenses or other equipment worth hundreds or thousands of dollars. 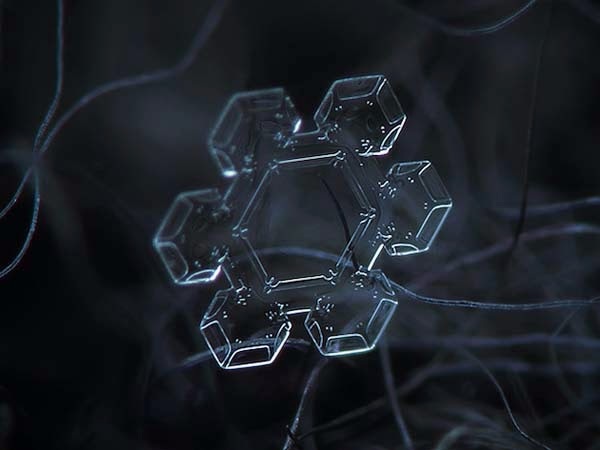 And the pictures he creates with this rig look absolutely amazing. 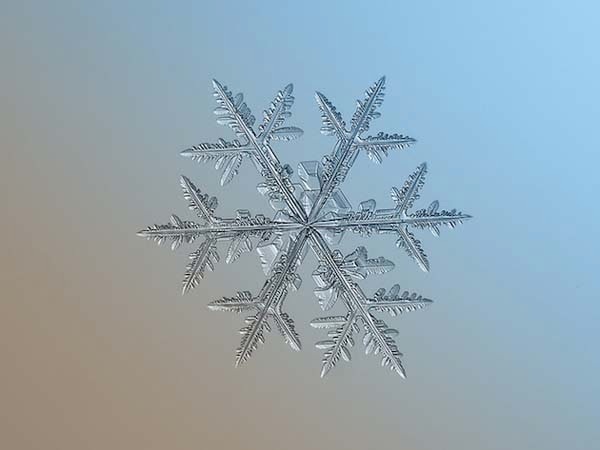 For more information about how he did it, check out his blog post.